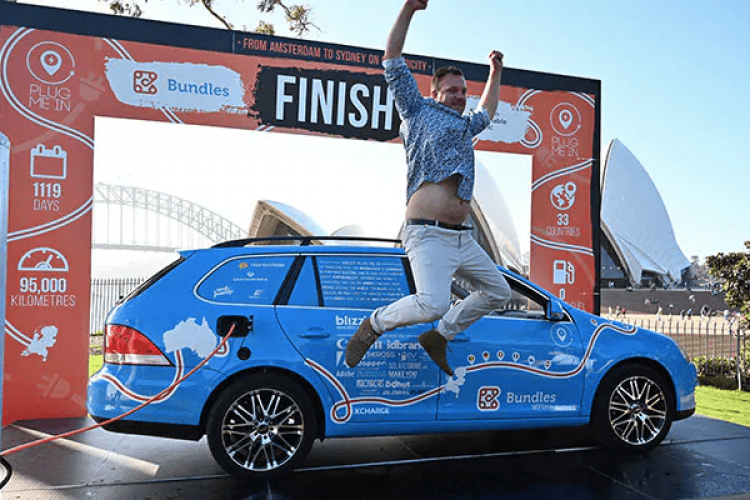 A Dutchman completed his epic journey of 95000 km by electric car 'The Blue Bandit' starting from the Netherlands & ended in Sydney, Australia. Wiebe Wakker wished to prove the viability of such vehicles in tackling climate change. The entire trip crossing 33 countries, took over 3 years, funded by public donations from the world with electricity for charging, food & place to sleep. The car rides 200 km on a single charge.